Pack comes with 4 metal crew figures and a metal model of an Austrian 4pdr. gun. 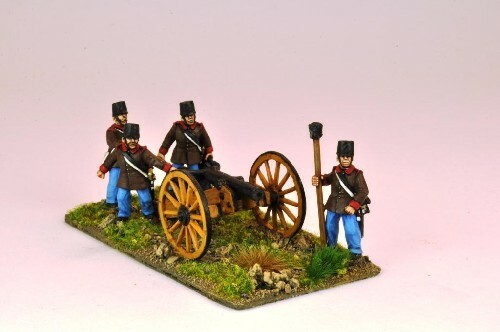 Models are 28mm sized, supplied unpainted.